Although it has been proven time and time again that peace building is more sustainable when women are actively involved, in practice this has rarely happened. 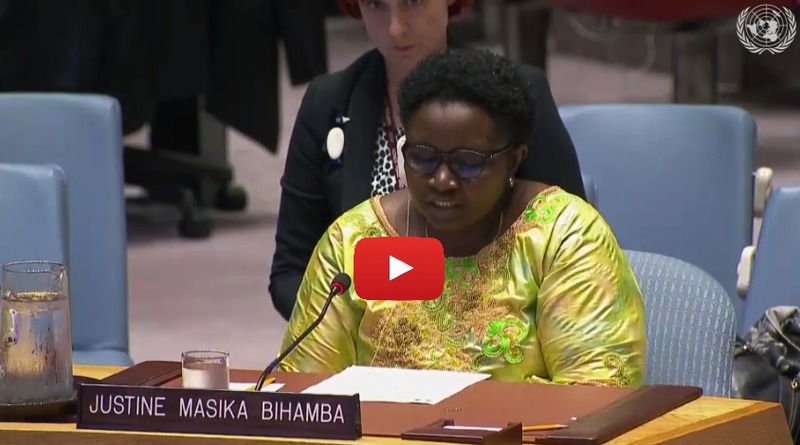 But last week, Justine Masika Bihamba, President of Synergie des Femmes, addressed the United Nations Security Council on the worsening situation in the Democratic Republic of Congo. She warned them that violence was intensifying, urged them to take effective action to protect civilians, particularly from sexual violence, and to ensure respect for the rule of law in the upcoming elections. Please support Synergie des Femmes in its urgent work to support survivors of sexual violence, and to ensure that Justine and other Congolese women can actively participate in peace building efforts in the DRC in an environment where respect for human rights and democracy is restored. You can also read Justine’s full speech here.